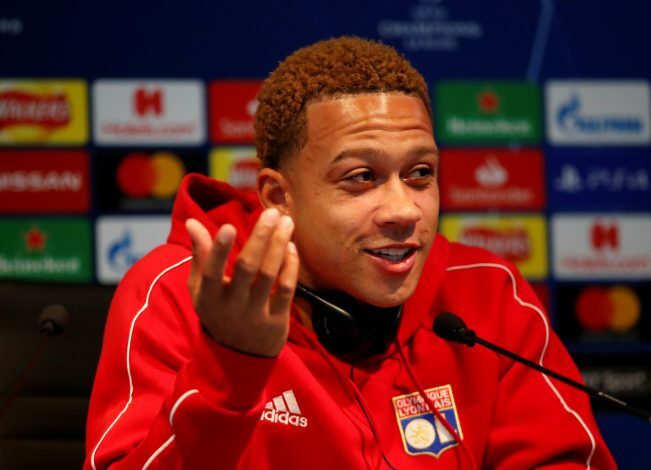 Lyon are travelling to the city of Manchester to face Pep Guardiola’s side in the Champions League on Wednesday, and the banter for the game is well and truly underway. Memphis, the former no. 7 at Old Trafford, is a part of the French side coming to England, and he already has a few words to say about his return. However, his latest words have certainly won the hearts of the supporters in the red half of Manchester. The second statement is what got him affection in heaps from the Old Trafford faithful, who will now be secretly supporting Lyon this week. The 24-year-old never really hit the standards that were expected of him in Manchester, and the recent comments from Wayne Rooney did not help his image in any manner whatsoever. The pacy and skillful winger will be looking to put behind the horrors of the city and help his current team win tomorrow night. Pep Guardiola’s team isn’t easy to beat, but if Memphis brings out his best, he is not an easy man to stop.